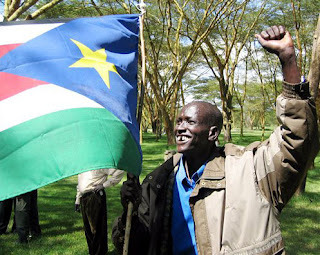 South Sudan becomes the newest independent country in the world, on saturday, July 9, 2011. 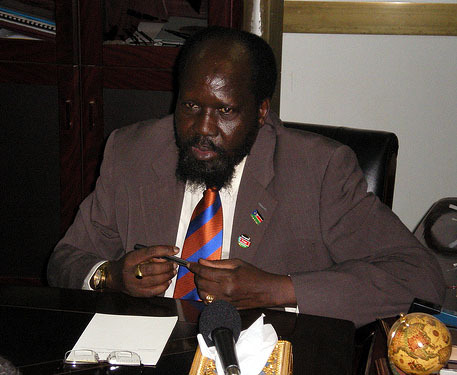 Southern Sudan will be named the Republic of South Sudan upon independence. Salva Kiir Mayardit is its current president. Capital is Juba. South Sudan had reached a comprehensive peace agreement with North Sudan in 2005, brokered by US Secretary of State Colin Powell under former President George W Bush, that stopped the bloody civil war and paved the way for a referendum in January that year. Some 99 per cent of southern Sudanese had voted for independence from the north of Sudan in the referendum. The people of the Southern part is mainly Christian and the Northern teriitory is Arab Muslim. Africa’s 54th state is at the bottom of the developing world. Most people live on less than $1 a day. More than 10 percent of children do not reach the age of 5. Some 75 percent of adults cannot read. Sudan had already bloodied by two million deaths in the civil war, but many festering disputes between north and south are still remaining. 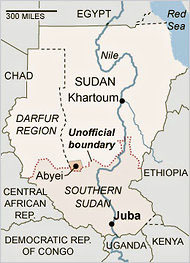 Major elements of the 2005 peace agreement are unresolved — such as which side will control the oil-rich region of Abyei, where fighting has also broken out; citizenship protections for minorities; where final borders will be set; how oil earnings will be shared (the south has 70 percent of the reserves). The two sides are dependent on each other. South Sudan needs the north’s pipeline to get its oil to market. Sudan needs oil money to help pay its bills. Both need foreign investment and the north needs debt relief. Sudan’s president, Omar Hassan al-Bashir, said he would attend the festivities in Juba. But he also said he would continue the fight. The international community must persuade the two sides to avoid war and work to build a future for both Sudans.